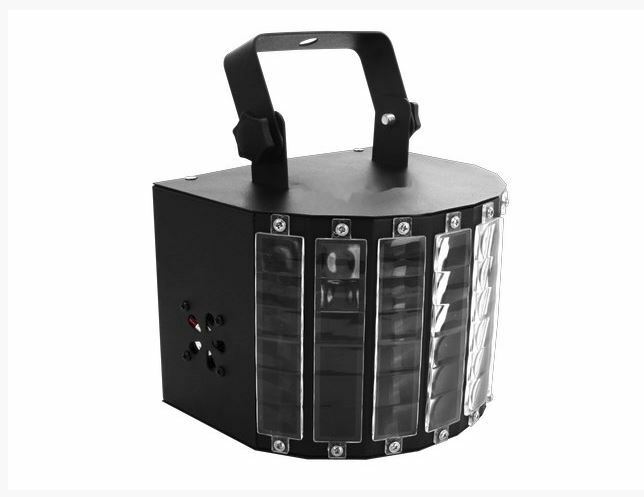 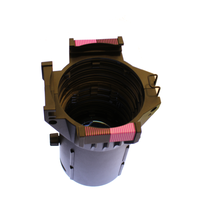 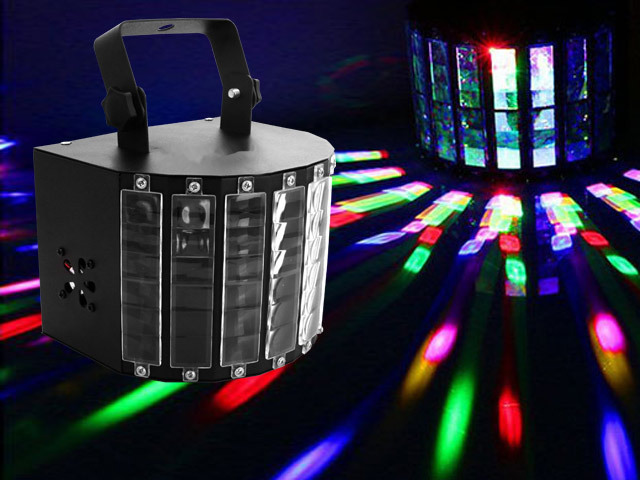 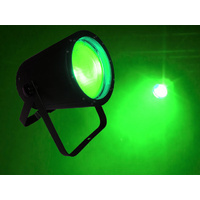 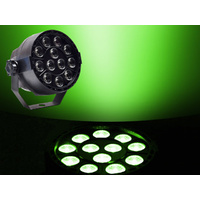 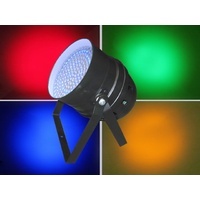 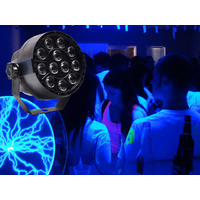 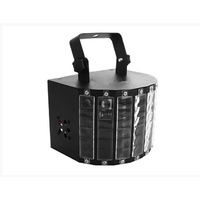 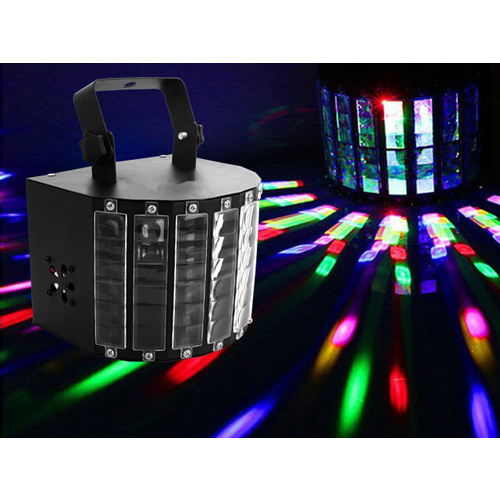 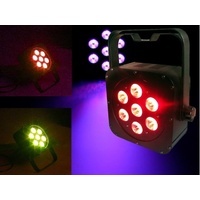 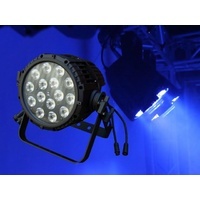 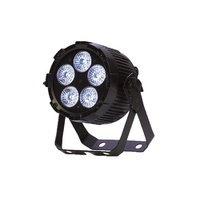 The MINIDERBY is a compact party light using 9 coloured 3W LEDs to instantly fill any room with moving coloured beams. 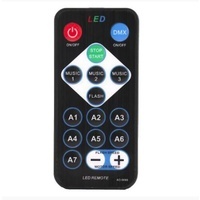 The MINIDERBY can be controlled by the included wireless remote control, can run to the music under sound activation or via a lighting controller using DMX. 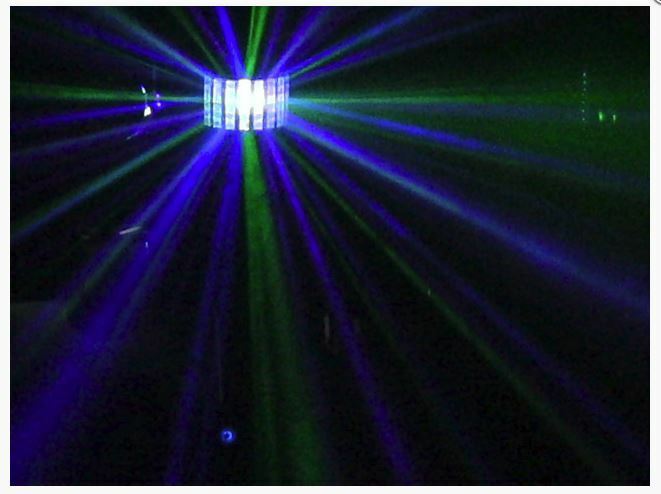 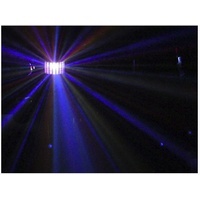 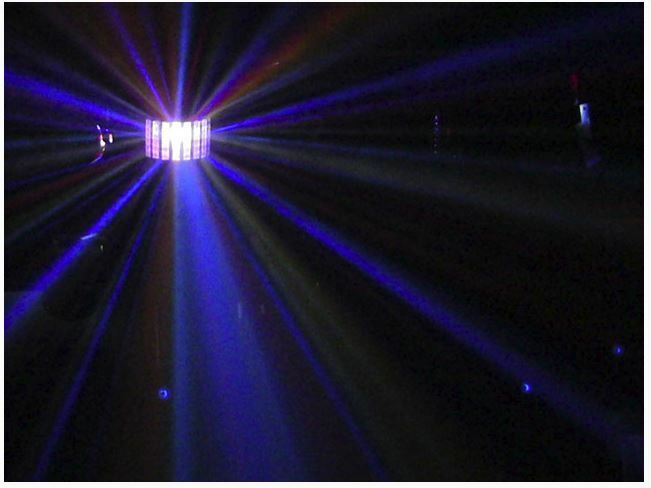 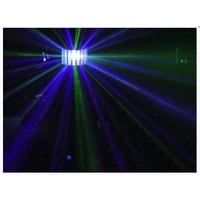 The effect is intense and spectacular - even moreso when a party fogger is used so the beams can be seen moving through the air!